It’s true that your audience doesn’t really listen to every word you say when you speak or present but there are just certain words that can distract them from absorbing the essence of your presentation. So avoid these at all costs. Below are the steps used in making a presentation whether you’re using PowerPoint or another presentation software. They are originally from Garr Reynold’s “Presentation Zen”. In case you still haven’t read the book, here’s a good summary of how you can master your presentations in the future. Step – 2 Challenge the status quo. Step – 3 Start with a beginner’s mind. Step – 4 Put constraints on yourself. Step – 5 Understand the needs of your audience. Step – 6 Do not plan using the software. Step – 7 Aim for clarity, simplicity & brevity. Step – 8 Ask the right questions. Step – 9 Ask yourself two questions regularly. Step – 10 Create proper handouts. Step – 11 Craft a story. Step – 12 Create rough slides on paper or post-it notes. Step – 13 Edit like crazy. Step – 14 Design is not decoration. Step – 15 Remove all noise from your design. Step – 16 No 3D (Three dimensional) charts. Step – 17 Picture is superior to text. Step – 18 Better utilisation of empty space on your slide. Step – 19 Follow the C.R.A.P principle of design. Step – 20 Be totally immersed in the moment. Step – 21 Practice makes perfect. Step – 22 Do not hold back. Step – 23 Keep the audience hungry for more. Step – 24 Do not stand behind a lectern (podium). Step – 25 Mastering presentations is a journey. 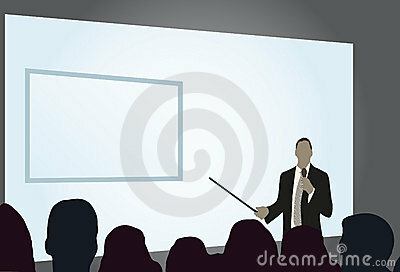 When a speaker becomes quotable, then it means that he/she has captivated his/her audience. This means that the speech made by the speaker has become memorable to the point that people want to quote parts of the speech they find interesting again and again. Below are three essential tips you can take note of. Apply these to your speech or presentation so that you too can become a quotable speaker in the future. 1. Make Your Idea Very Clear – How do you do this? By stating the purpose or essence of your speech. 2. Make Your Phrasing Shine – How do you do this? Choose your words right. Choose those that will create a vivid image in your audience’s imagination. 3. It’s All About The Delivery – How do you do this? By pausing, then delivering the line you want to be quotable, then pausing again. This way, the line will have a lasting impact to your audience. Getting people to attend your speech or presentation is one thing. But how do you get them to listen? Make sure that your introduction will spike the interest of your audience. Tell your audience a story that will make them care. 3. Give them something to remember by giving them what you promised. We are a community of experts and practitioners dedicated to sharing the best, most practical information about developing and delivering face-to-face & online presentations. The ability to build or deliver persuasive presentations plays a crucial role in the careers of business people of all levels. Our mission is to help you take your presentation skills to the next level — and help your organization get a competitive edge in the process. Our Xpert Thinking program includes a monthly eNewsletter, PresentationXpert; an interactive Ning community & a new Webinar Wednesday series featuring the industry’s top experts providing how-to advice and insights. Providing advice from regular roster of world-class experts on designing and delivering persuasive presentations, content includes advice on how to rehearse more efficiently, build more audience engagement, design impactful PowerPoint slides in short time frames, master the latest presentation technologies, and much more.